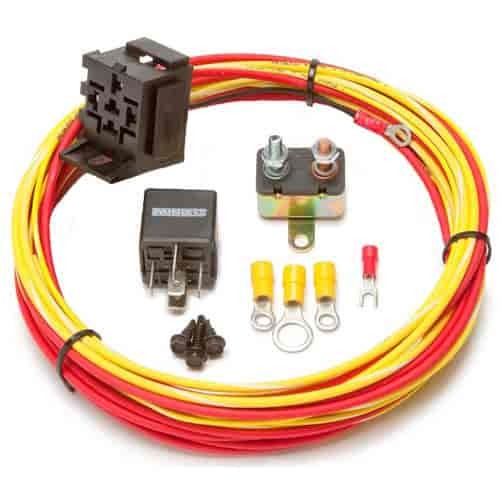 A relay will prevent voltage drops at the pump, thus maintaining constant fuel pressure, and will prevent fuel pump amperage overloads from damaging the electrical system. It's a good idea to relay your fuel pump for the street and an especially good idea when you're racing. Includes 30 amp circuit breaker. 50102 is rated 5.0 out of 5 by 3. Rated 5 out of 5 by brabbit from works Works as advertised. Easy to wire up. All wires are labeled so there is no way to mess up.